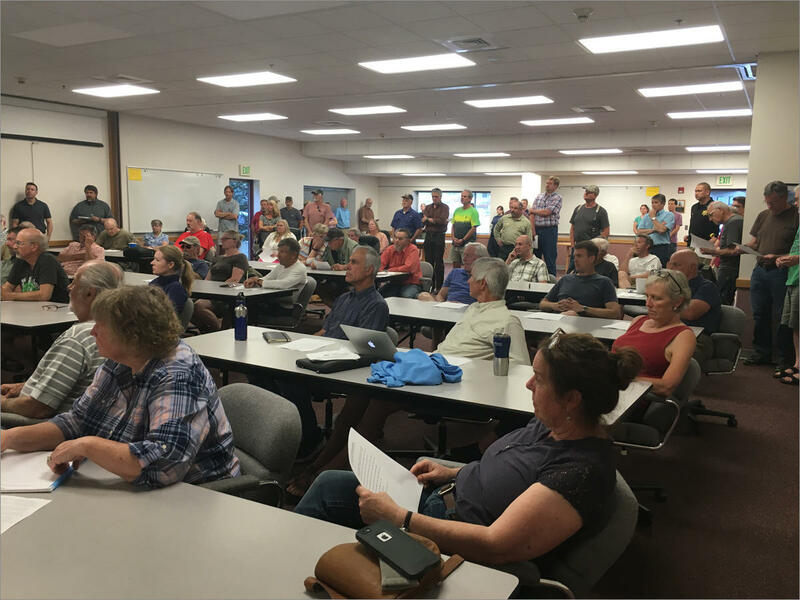 More than 60 residents packed into a stuffy firehall in Leavenworth to learn more about the under-pressure Eightmile Lake Dam upstream from their homes. 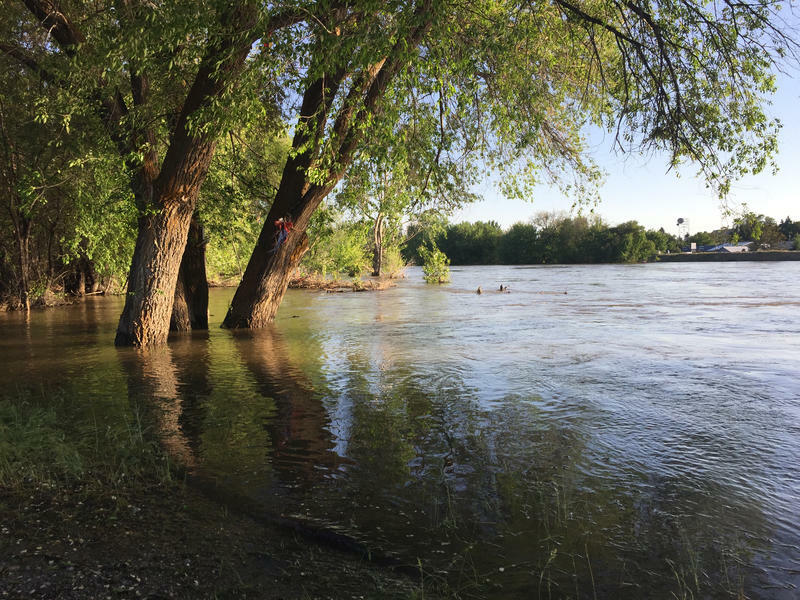 The National Weather Service is concerned about this week’s warm weather rapidly melting snow upstream of Leavenworth, Washington, this week. There may also be storms on the way. It all adds up to trouble for the Eightmile Lake Dam, upstream of the Bavarian-themed town. Officials say the rapid snow melt and rain could cause the dam to fail. That could put some 50 homes downstream under 10 feet of water f the worst happened. Eightmile Lake Dam was built in the late 1920s. It’s holding about 2,700 acre-feet of water. And it’s under intense pressure. The dam’s watershed was partially burned by an intense wildfire last year so the rocky soil is less absorbent. 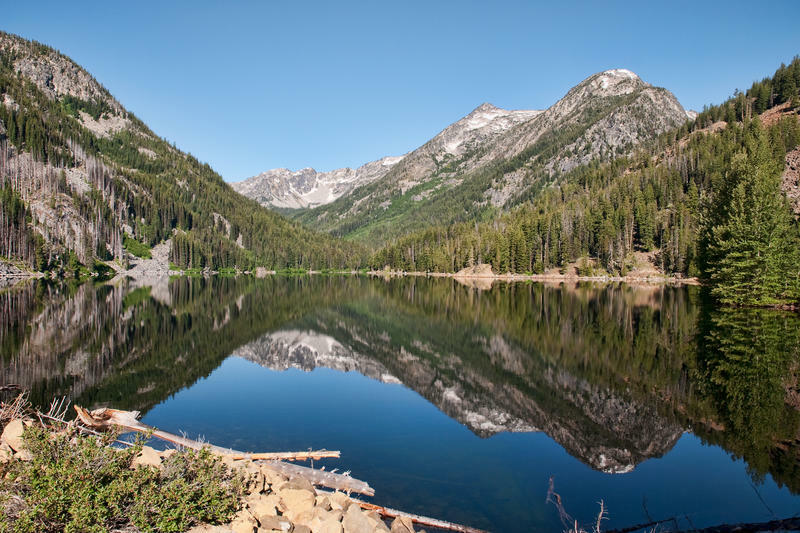 Managers have been trying to fly in equipment and start work, but they need special permission from the U.S. Forest Service since it’s a wilderness area. An irrigation district owns the dam. The district spent almost $100,000 one-way to chopper in an excavator. Meanwhile, residents are planning to evacuate livestock and prepare to leave quickly if needed. If the dam completely fails, officials say, they might have only 30 minutes to get out of the way. On Monday night more than 60 concerned residents packed into a room at a firehouse in Leavenworth. 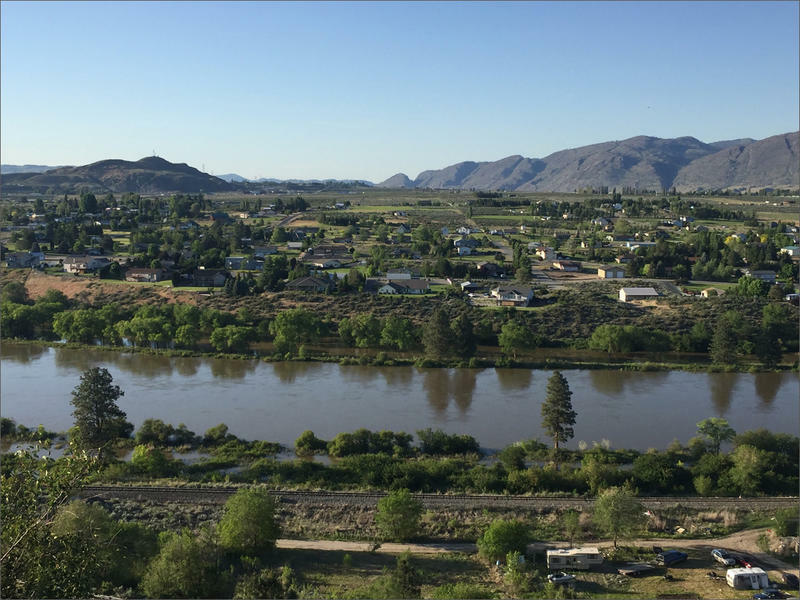 They heard from the Chelan County Sheriff’s office, the irrigation district that owns the dam, the U.S. Forest Service, and the National Weather Service. By the end, many downstream residents were hopping mad, including Will Henson. A nearly 100 year-old dam near Leavenworth, Washington, is under heavy pressure from melting snow this week and officials are warning downstream residents to be prepared to evacuate if the dam breaks.